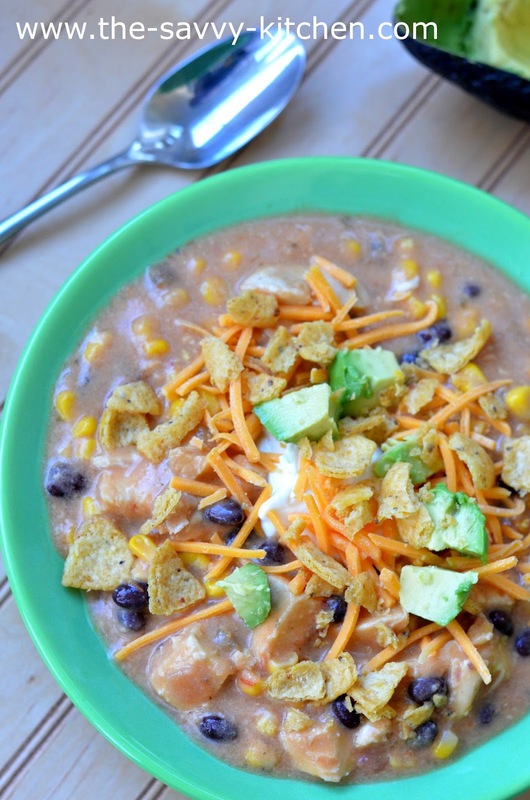 Okay, so we definitely have a new favorite soup..and it's made in the slow cooker! All of the ingredients are pretty much pantry staples. I was able to make this super last minute because I just happened to have everything on hand. And thank goodness I did because it's SO so good. 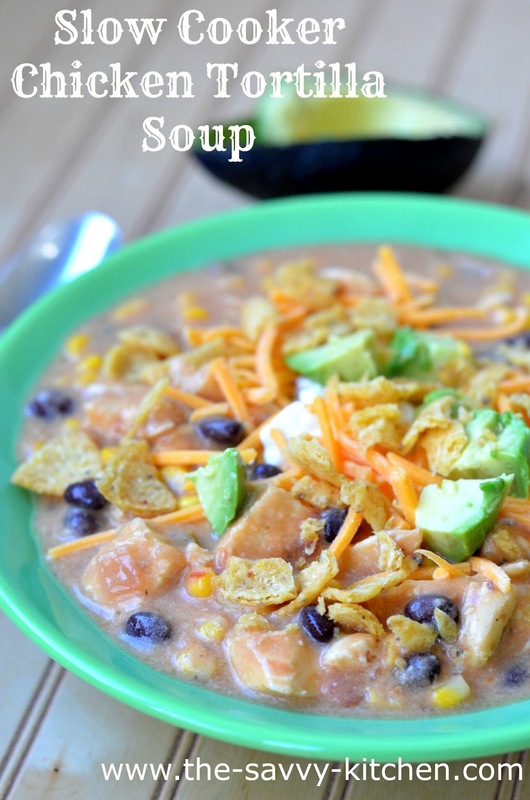 Using salsa in the recipe gives it a ton of flavor without needing too many extra ingredients. My boys and I loved this. Plus it made enough so that I could freeze half and defrost it when I don't feel like making dinner. We're all looking forward to that night :) Enjoy! Cook on LOW 4-6 hours. Remove the chicken and chop into bite-size pieces. Place back into the slow cooker and add shredded cheese. Continue cooking until cheese has melted, about 15 minutes.